Blog to End the Occupation: Intern with the US Campaign! The US Campaign is currently seeking interns for the 2012 spring semester! Interns are an integral part of the US Campaign. Internship positions offer substantive work experiences and hands-on opportunities for professional and personal development. building upon these efforts through public education campaigns. providing organizing and campaigning tool-kits for volunteers across the country. All interns are also responsible for a reasonable amount of administrative work, including data entry, filing, tabling, letter-writing, etc. 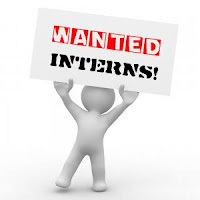 The US Campaign is only able to consider currently enrolled college students or recent college graduates for internship positions, but all individuals are welcome to inquire about volunteer opportunities. The US Campaign will work with colleges and universities for class credit for the internship. a) Your goals and motivations for working with the US Campaign. b) The above area(s) of work you are most interested in. c) What makes you an ideal candidate for the intern position? d) You may also include a short writing sample and/or an a/v clip showcasing your communication/public speaking skills. Send your resume and statement to membership@endtheoccupation.org. Applications will be accepted on a rolling basis. *The US Campaign to End the Israeli Occupation is an equal opportunity employer and is committed to a diversified workplace. Women, LGBTQ and people of color are strongly encouraged to apply.